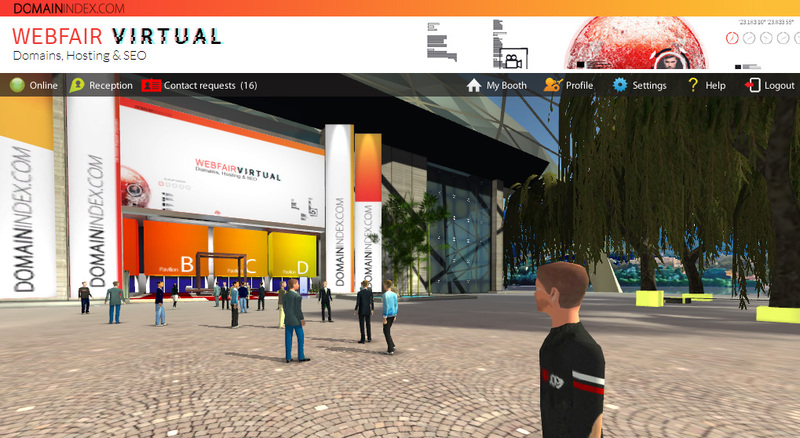 After spending more than 5 hours at Webfair Virtual 2014 – the first virtual domain conference ever – it’s time for a review. Exploring the entire area takes some time, even when one is speed walking by holding down the SHIFT key.  After a while, one starts teleporting to various locations. Try doing that at TRAFFIC, they will think you’re some Star Trek freak. The truth is, that I missed not having access to a bar and my fridge only had lemonade and apple cider. Next time I will stock up in advance. 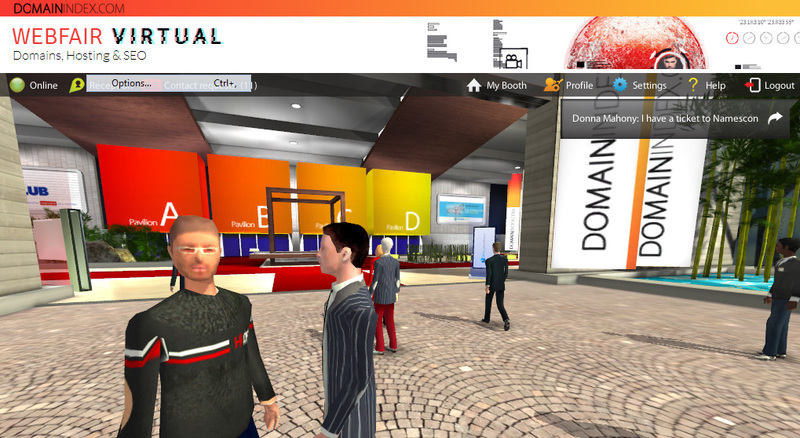 Meeting domain industry professionals is always fun, and Webfair Virtual included exhibitors from the SEO, technology and hosting markets as well. I managed to hold conversations with almost 50 individuals, some of them at the same time. Multi-tasking skills are definitely needed, and several of these discussions moved to Skype or telephone for direct, typing-free communication. 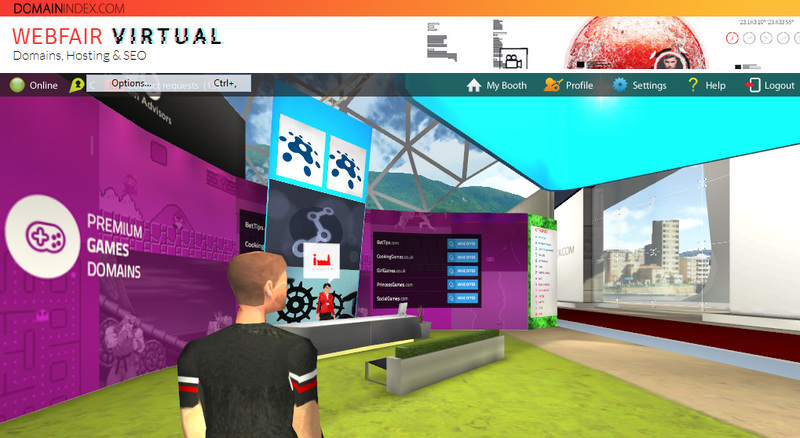 The main lounge area outside the venue entrance soon became the gathering point, with people clicking on avatars to initiate conversations. Some of the people I had the pleasure of chatting with for the first time, included Chris Jensen of Left of the Dot, Dietmar Stefitz of Inverdom, Joe Styler of GoDaddy, Gus Kyriakos of Six Gun Media and Brandon Abbey of Escrow.com. Others included Natasa Cvetanoska of Aspekt, Charlotte Gilbert (aka DomainQueen) and Tommy Butler of Glasgow.com. 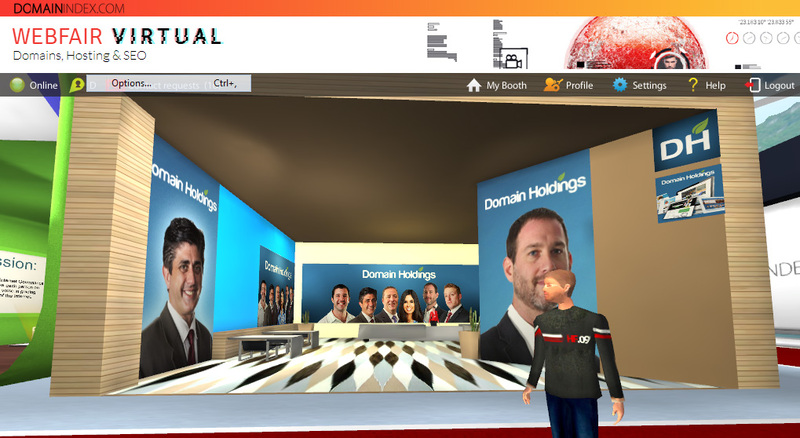 Webfair Virtual 2014 was most definitely a success. The male to female ratio of attendees was very close to that of real life domain conferences, more proof that the reach of the virtual conference was uniform across companies and individual domainers. 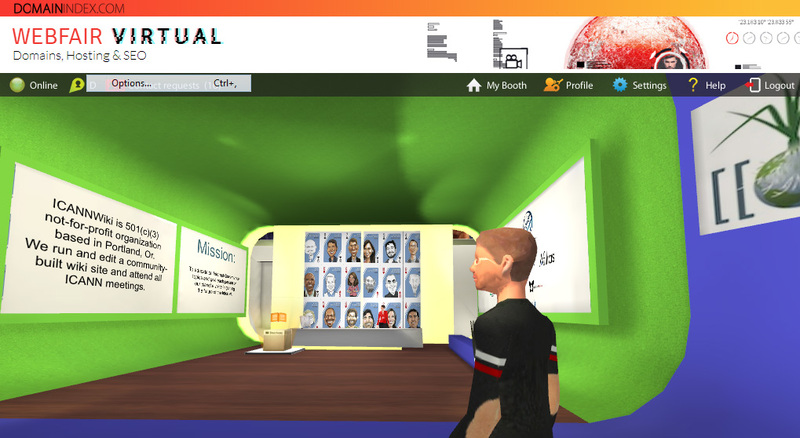 Considering how participants donned their best avatar outfits, all while connecting from their office or homes, the opportunities to engage in contact with other professionals of the industry were tremendous. Those that did connect on Skype took a minute or two to adjust to the natural inconsistencies between avatars and reality. Many thanks to Michael Marcovici and his team who dared to venture new territory. As with every industry, the future of domaining depends on innovation and breaking the mold. 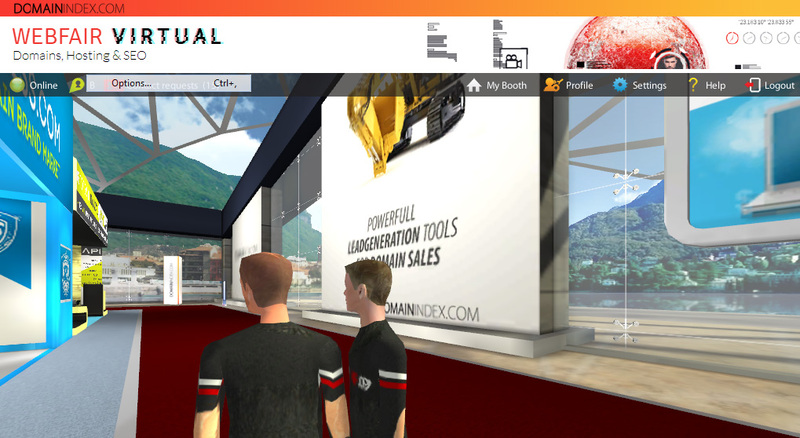 Webfair Virtual 2014 did it! At the entrance, while talking to Sevan Derderian of Uniregistry. Nice suit, dude! With some guy who has the same taste in clothing. The prettiest booth was that of Nokta Domains.  Domain Holdings put its very capable team of domain brokers to work. ICANNWiki – Where every domainer can be cartoonized. After a while, everyone started gathering outside for some fresh air. Nice talking to you yesterday! I see from the first pic that I have my ticket to Namescon..see you there!